A year or so ago, I told my colleague that I would learn from my mum how to make chap chye and pass some over to her. Busy as we all are, I procrastinated until I felt it could not pass into 2010 (how to make someone wait for 2 years for chap chye? So, I decided to make a trip to the Mayflower wet market with my mum so I could learn which ingredients needed to be bought and from where… Its difficult to get this all from any supermarket so a visit to the wet market is a must. My mum, sis and I chillaxing out at the wet market over laksa, chai tao kueh and fish ball noodles. Learning the recipe involved more than just the cooking. It meant having breakfast at the market with my mum and sis (who loves to tag along) and spending a lovely morning chatting away. Its something to savour… and somehow if you are mindful, it helps in the cooking process as well. No rushing. The finished product, a culinary treasure from the Peranakan heritage. It tastes good too. All the ingredients should be in and none left out but I think the essential ingredients are the prawn head stock and the black fungus. The fungus imparts a nice woody and slightly pungent aroma to the dish. Here’s a podcast of the recipe as narrated by my mum, I have taken the liberty of adding some music from the starfishstories.wordpress.com. I chose the song Ivan and I wrote for our friends Siva and Airani entitled “The mangrove tree”. I think the song goes well with the dish. http://www.archive.org/download/ChapChyeRecipe/ChapChyeRecipe.mp3Licensed under Creative Commons Attribution 3.0 Singapore. Download at ARCHIVE.ORG. Dried Lily buds tie 2 (cut off stalk) rendam (soak in water) for half hour and remove dirt. Until comes to a boil. Let it simmer for another hour or so until all is soft and mushy. This is a picture of the fermented bean paste that I used. Ivan and I were discussing on gmail video chat and then on skype (which had better connectivity) about the 2nd album which is to be called One World, One Moment”. The third album is tentatively called “The Mangrove Tree” although this might change. Ivan’s been pretty productive so its gonna be tricky compiling this one cos only half will be collaborative. But still the music and mash-ups are a step up from seastars the album. To me, this is best understood by others through the vocals and instrument sounds they hear. What is this, I’m not sure what. Currently I feel there’s a possible blend of “read aloud poetry” and Asian instruments. Did this song quiet a while ago. It was a raw version with just 2 guitar tracks and I passed it to Ivan to add to it. Since he bought a bass, I thought it would be nice to fill the background with some lower notes. He also added some nice acoustic guitar fills to it. Its a mood piece. I did it while meditating on a quiet afternoon. Reaching mindfulness and letting my thoughts drift across my mind. While I sought and felt the peace, fleetingly random thoughts would punctuate the mood. It was mindfulness and thoughtfulness rolled into one. Strangely this song also evokes a heavy pensiveness. I think those were worry-laden days when my wife was pregnant with Leea. I have been experimenting with a pure guitar sound and exploring a more unique style than the usual drums, bass, rhythm and melody/lead kind of structure. I think it started with tunes like Seabreeze. I don’t really work with a basic beat but rather let the tune carry its own rhythm. Its then over to Ivan to interpret the rifts and then do some magic to it. Its a bit more challenging for Ivan but I am pretty happy with what he’s done to improve it and yet retain the sound. Finding something that’s straight from the heart is a purer expression of both roots, culture and mood. So the music although a bit raw is more close to home for me. It took me a while to post this as I was finding the right moment… [Ivan rolls eyes]. It had to be a quiet afternoon.. But it isn’t really quiet today but I think I have settled into a kind of peaceful mindful state. Something hard to achieve but I did it. The secret: I haven’t watched TV since Monday. Its only three days but what a difference it makes. My time has not been stolen and I can savour each moment, each crying moment from Leea more intensely and mindfully. TV steals time. Ahhh.. its raining now and the sound of the rain is soothing. A song dedicated to my bandmate Ivan for his patience and philosophy. This song is about flying free and igniting your imagination (or the other way around). There must be more to our lives than just working for money, out of fear and just being the “salary man”, looking forward to the weekend. The days must be seamless and we must be mindful and have no duality. The only way is to be free. I felt a song coming to my mind and decided to plug in the guitar. The strings had rusted over Jan and Feb so I restrung them and gave the guitar an oil rub… (lemon some more). So the firefly theme is easy to identify with I think – fireflies in a pitch dark night, sitting in a boat and going along a riverbank lined with mangrove trees and seeing the fireflies flying about. It just pure wonderment that we feel I guess when we see such things and maybe that kind of feeling makes us appreciate being free and letting our imagination take flight. Well for those out there who are feeling entrapped in anyway (and I do sometimes), at work or in any situation, here’s a song about taking flight and setting yourself free. The song of course needs improvement but I am happy with the idea of the fireflies. Shrek, I mean Ivan, will do that… ha! His currently in Frisco now, giving a talk, an invited talk at a university… (phoar… big time he is). Sorry to post here, but since I am a biologist and teacher… I feel the urge (muahaha) to educate whoever comes by my way… Anyway, this may …. will affect our lives in one way or another. The first is the NOVA programs. The videos capture authentic situations that individuals face with regards to genetic diseases and also feature the scientists, science behind the project. Its more information packed in multimedia than I can summarize in a set of lecture notes. More information meaning the drama of the video that will contribute to affective learning and hence motivate students to learn more about the subject. The 2nd is this free,… yes free, online book you can download. Its easy to read and the examples giving illustrate clearly the perplexing “ELSI” issues about genetic testing, abortions, genetic determinism… that will surface once genetic tests become more accessible.. Think ELSI and genetic testing are still far off… well read this groundbreaking and probably as “Brave New World” as it can get article in the New York Times on how you can pay just under USD$1000 for the company 23andMe to scan your genome for 580,000 SNPs (Single Nucleotide Polymorphisms). You actually can order the kit.. not sure how it works but I guess you can do it at home for yourself and children. There are at least 3 companies who will do that for around that price. But that’s just information…. trivia about your genes. It gets more serious when people actually use that information to determine the genetics of their progeny. This couple actually had their daughter “genetically determined” so that she wouldn’t inherit forms of genes that would make her highly susceptible to a certain form of colon cancer. This testing is termed preimplantation genetic diagnosis, or P.G.D., which means you need to cull embryos to get the right one. An eight-cell embryo has gone through fertilization. For this couple, 4 were culled leaving 10 good ones that didn’t have those forms of genes that cause cancer, 2 more were culled when a Down’s syndrome test was done. Think that is unethical? Well there are people who actually remove their large intestines or breasts as a prophylactic measure against such cancers once they find they harbour just the forms of genes that make them susceptible. They may have siblings who have died because of that disease. Watch the 3rd video called One Wrong Letter in the set of videos on Nova and you will know why it becomes so grey. (thanks to Kevin Lam who pointed out the genome scan link). I was thinking about the new album and trying to give it some form of direction or theme. 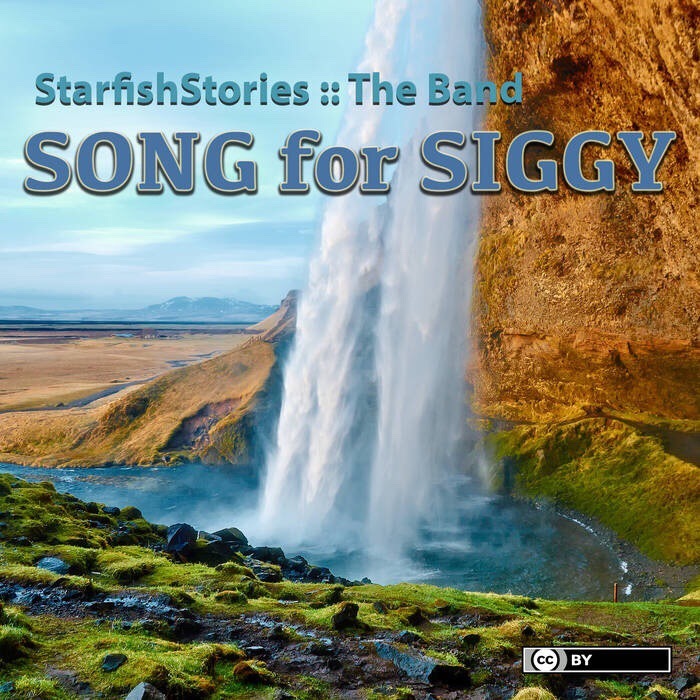 So late one night, it occurred to me as I thought of the name for the band “Starfish Stories” – why not write the next set of songs to fit into a story. I can imagine its going to be sort of an extension of that boy who threw the starfish back into the ocean. What did he do after that. I would like to imagine that he went on an adventure and of course that the world he was in was a bit different. Something like the little prince but of course different, with a distinct story line and with musicals to fit the moods. Here’s what I jotted down in an email to Ivan one day. “I was thinking that perhaps…. perhaps we could thread the songs of the next album into a story. A story about a boy on a journey, meeting friends, facing some difficulties, coming up with philosophies along the way. It would be an avenue for you to feature artwork (old or new) and for us to imagine. So this album will be like a storyline with music and hopefully Ivan’s nice artwork. Basket, that guy’s talented man. Our song 4 the chicken – Cry Fowl! This is definitely version 1. I couldn’t wait to put it up.